Introducing the new book Once Upon a Teller Fell, which is available to purchase via the bookshop link. ‘This train is the last of the night, travelling north and east. It falters, with a long unearthly squeal, and it surrenders, this evening in the deep and still surrounds. Ragnar, Teller of Tales, alights from the broken down train and is lost in the City of Trees, the city that doesn’t exist: a place experienced in degrees of perception. Nature and the urban slide between each other. Illusions and realities of past and future-poems start to intertwine. At home, somewhere and somewhen amongst it all, are Ragnar’s wife and children. In the City of Trees, the city that doesn’t exist, he must decide who to trust in his entanglements and navigations to find his family: Avia and her kin, fey but sharp in what might be witcheries; Ingmar, who would be king, obsessed by luck and also seeking escape; the missive other children of the place, illusory or otherwise. 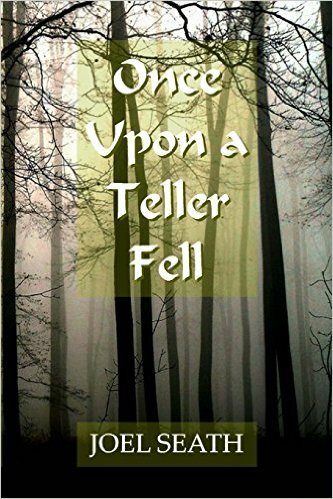 Once Upon a Teller Fell is a story of intersecting illusions and realities, of past and future tales, of looking for the now. If we look — what might we see, with which we may believe. The author would like to acknowledge some of the various influences, to greater or lesser degrees, in the completion of this project. In alphabetical order of writers: the ‘good city’ considerations of Ash Amin; the spatial poetics of Gaston Bachelard; the invisible cities of Italo Calvino; the phenomenological inquiries into ‘played-with-ness’ of Sylwyn Guilbaud; the introduction to psychogeographic tracings in Peter Ackroyd’s London writings, as presented by Will Self. In alphabetical order of fragmentary aspects of certain places: the village of Avebury, Wiltshire; the coves and beaches of west Cornwall; the various forests of the former East Germany, Hampshire and Kent; the Larmer Tree Gardens on the Wiltshire/Dorset border; slices of Old Oak, Shepherd’s Bush and White City, west London; the old Wessex capital of Winchester; the city of Zaragoza, Spain. A place is many-layered. This entry was posted in Book Releases and tagged book releases, once upon a teller fell, print books.